Patients with early breast cancer and a low Oncotype DX Recurrence Score (RS) can be safely treated with hormone therapy alone and avoid chemotherapy, according to results of the National Cancer Institute–sponsored Trial Assigning Individualized Options for Treatment (Rx), or TAILORx trial.1,2 Patients with an RS of <11 who were treated with hormone therapy alone had <1% chance of distal recurrence at 5 years, and <2% chance of recurrence at any site at 5 years. Outcomes were excellent regardless of patient age, tumor size, and tumor grade in these node-negative, estrogen receptor–positive, HER2-negative patients who met the guidelines for consideration of chemotherapy in addition to hormone therapy. The authors enrolled 10,273 patients from 1182 community-based medical centers and major cancer centers in the United States, Canada, Peru, Ireland, Australia, and New Zealand.3 All the patients included in the trial had hormone receptor–positive, node-negative, HER2-negative breast cancer with tumors of 1.1 cm to 5 cm in the greatest dimension for a tumor of any grade or tumors of 0.6 cm to 1 cm in the greatest dimension in intermediate- or high-grade tumors. These women met established guidelines for considering adjuvant chemotherapy, Dr Sparano emphasized. Patients’ tumor samples were tested with the 21-gene Oncotype DX assay to calculate RS. Dr Sparano pointed out that only 16% of patients enrolled in TAILORx are considered low risk (RS, 0-10). Another 67% of those enrolled had a midrange RS of 11 to 25 and were randomized to receive chemotherapy plus endocrine therapy, or endocrine therapy alone. It is important to determine the effect of chemotherapy in this intermediate-risk group, Dr Sparano said. In his editorial in the New England Journal of Medicine, Clifford A. Hudis, MD, Memorial Sloan Kettering Cancer Center and Weill Cornell Medical College, New York, NY, hailed these results enthusiastically. 1. Sparano J, Gray R, Zujewski JA, et al. Prospective trial of endocrine therapy alone in patients with estrogen-receptor positive, HER2-negative, node-negative breast cancer: results of the TAILORx low risk registry. Presented at: European Cancer Congress 2015; September 25-29, 2015; Vienna, Austria. Abstract 5BA. www.europeancancercongress.org/Scientific-Pro gramme/Abstract-search?abstractid=20456. Accessed September 30, 2015. 2. Sparano JA, Gray RJ, Makower DF, et al. 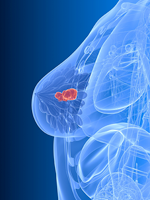 Prospective validation of a 21-gene expression assay in breast cancer. N Engl J Med. 2015 Sep 28. Epub ahead of print. 3. Large TAILORx outcomes study demonstrates 99% of patients with low Oncotype DX® Recurrence Score® results were breast cancer relapse-free following five years of hormone therapy alone [news release]. Geneva, Switzerland: Genomic Health; September 28, 2015. www.prnewswire.co.uk/news-releases/large-tailorx-outcomes-study-demonstrates-99-of-patients-with-low-oncotype-dx-recurrence-score-results-were-breast-cancer-relapse-free-following-five-years-of-hormone-therapy-alone-529730651.html. Accessed September 30, 2015. 4. Hudis CA. Biology before anatomy in early breast cancer—precisely the point. N Engl J Med. 2015 Sep 28. Epub ahead of print.